First flown in May 1958, the Phantom II originally was developed for U.S. Navy fleet defense and entered service in 1961. The USAF evaluated it for close air support, interdiction, and counter-air operations and, in 1962, approved a USAF version. The USAF's Phantom II program was first designated F-110A Spectre but this name was later dropped and the USAF's Phantom II was designated F-4C. The USAF F-4C made its first flight on May 27, 1963, and production deliveries began in November 1963. During the Vietnam War in 1967 production was 72 Phantoms per month. The aircraft has flown a lot of combat mission in South-East Asia during the Vietnam War and has claimed 277 air-to-air combat victories. F-4 Phantom IIs in Israeli service are claimed to have shot down 116 aircraft during a number of conflicts. The F-4G and RF-4C were also used in the wild weasel and photo reconnaissance role respectively during the Gulf War. The Air National Guard was the last US active duty operator of the F-4 until retirement in 1995/1996. Since 1998, over 300 retired Phantoms have been returned to service as optionally manned QF-4 drones for full-scale aerial target practise. 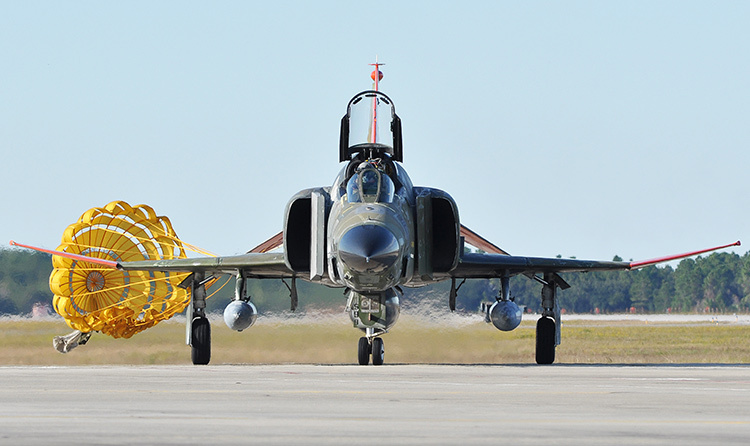 On November 19, 2013, the last QF-4 was delivered to the U.S. Air Force. The QF-4 fleet of about 60 jets at that time is now being followed up by QF-16. Most QF-4s meet their end during their last exercise mission when the aircraft is destroyed by a live missile. Meanwhile the F-4 continued to fly with various air forces in the world, but is steadily being replaced by fourth generation aircraft, for example Germany retired the last of its F-4F Phantoms in June 2013. 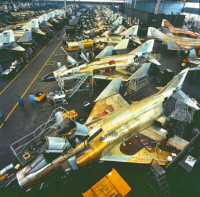 Of the other remaining operators, only Iran may keep their Phantoms in service for much longer.